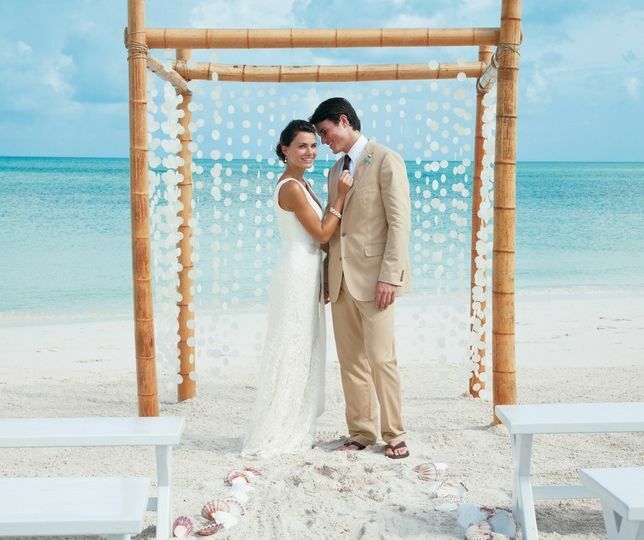 A travel agent based out of Bedford, New Hampshire, Vacationisms Worldwide Travel is dedicated to planning the honeymoon or destination wedding of your dreams. 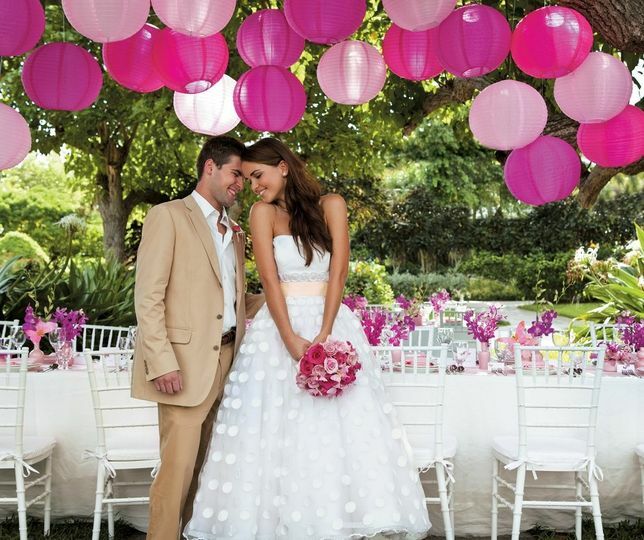 This company understands how stressful planning your wedding can be, and their goal is to help you ease the stress by wading through the millions of search results that populate when you are searching for the perfect place to celebrate your new lives together. 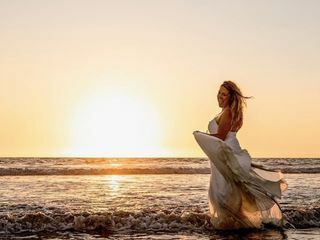 Truly passionate about planning trips for honeymoons and weddings, Vacationisms Worldwide Travel provides exceptional service with attentive and responsive consultants who will go out of their way to make sure your needs are met and you have a trip you will remember and cherish forever. There are not enough words to describe how incredible our experience with Sara and Vacationisms was. I am going to try to do our experience the full amount of justice possible in this review - but if you take nothing else from this - just HIRE SARA! The level of professionalism, attention to detail, and support from every single step beginning to end and knowledge of resorts and locations was amazing and beyond helpful. I found Vacationsims during a 1am google search, mid-meltdown while trying to plan our destination wedding on my own. Sara responded first thing in the morning, scheduled a call with me immediately and, I kid you not, said “give me a list of what you are stressing out about, and losing sleep over, and I will help you take it from there.” My God! That was music to my lack of sleep, mentally fried, emotionally distraught self. 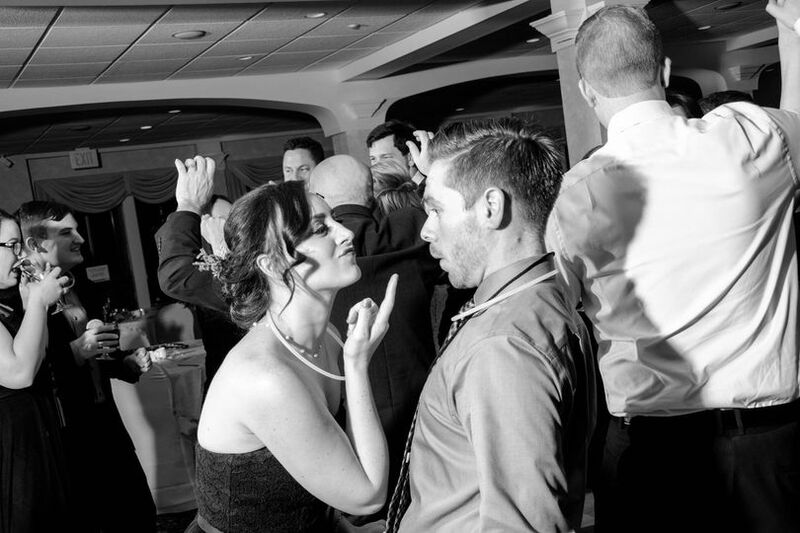 Sara helped us nail down the perfect country, part of the country and then resort to have our wedding. She did this not just by making suggestions, but by listening to what was important to us: budget, swimmable ocean, the right temperature, accommodating our group of 50 plus, flight costs and availability in the winter season coming from the Midwest, resort size, resort amenities, wedding packages and the ability to build our own concept. All of it! Seriously, the list goes on and on. Once we selected the perfect location, Sara was there for me every step of the way - working with our coordinator for the wedding itself, giving suggestions about our wedding because she had ACTUALLY been to the property and could speak to it specifically, and had personal connections there to keep things moving smoothly along the way. Having been on site may seem like a small detail, but let me tell you - game changer! We found so much comfort in making decisions because Sara and her team were able to actually speak to personal experiences on the property. Sara and her team also did an incredible job helping all 50 plus of our guests book flights, the resort, airport transportation, ACTIVITIES, spa appointments –everything. My guests also raved about how comforting it was to have someone so knowledgeable making all of their arrangements. One would think that once our trip was booked and final wedding details were hammered out, Sara and her team's job would be done. Realistically, it should have been. HOWEVER, Sara checked in on us every single step of the way - she was there for some unforeseen flight issues, she answered texts and phone calls (HAPPILY) and solved concerns I had while on site at the resort immediately. 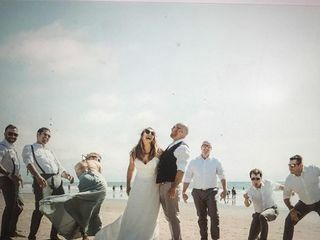 Planning a destination wedding, you are GOING to have some issues or concerns/questions once you get on site, it’s just the name of the game - but, having Sara to help smooth things out, dot I’s and cross T’s meant SO much less stress for us and our families - and so much more enjoying ourselves upon arrival. I could go on forever - but I’ll spare you... hands down, do NOT try to book and plan your own destination wedding. I promise you, hiring Vacationisms will be the single handed best decision you will make in your planning process. Our wedding was a dream, and none of it would have been possible without Sara and her team. 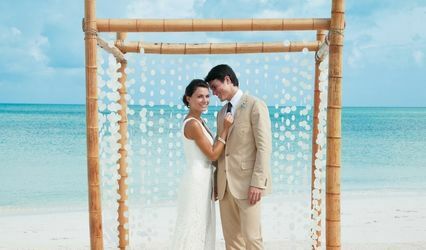 Happy Getting Married in Paradise Planning! Working with Sara was an absolute joy! She was so responsive and helpful from the very first conversation my husband and I had with her. She was so prompt in answering all our questions and provided invaluable guidance for us as we had never planned such an extensive vacation. Our resort was fabulous and from her personal suggestion list. Sara goes above and beyond for her clients, whether is basic questions or frenzied questions mid-flight about customs forms! We will use Sara for every and any type of vacation we take now. She took all the guesswork and anxiety out of travel planning. I can’t possibly imagine there is anyone better out there! Over the last 9 months planning our destination wedding, I've talked to someone in the office nearly every day. They're always crazy responsive and it was great to have back up when I needed help with the contacts at the resort. 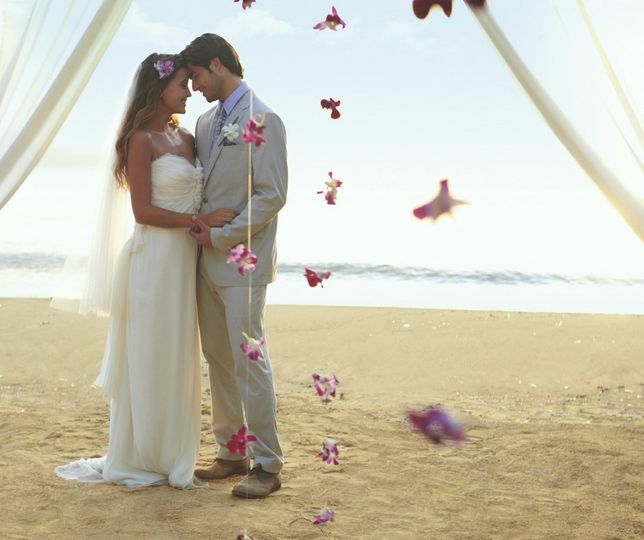 FREE Always & Forever Wedding at Karisma Resorts! 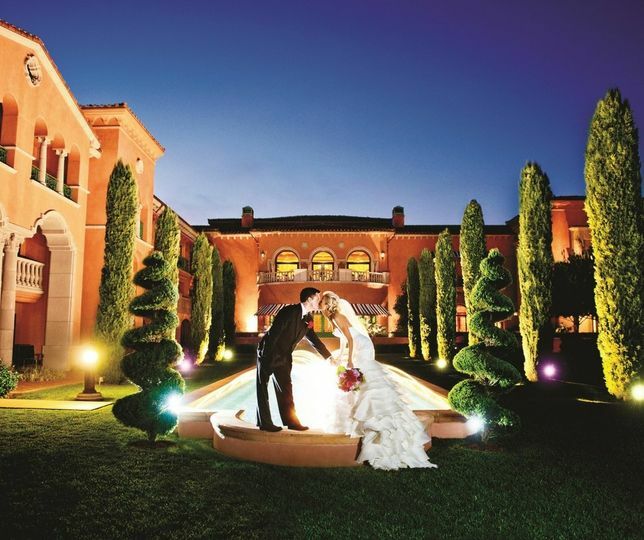 We have gone beyond the basics to include all of the details for the perfect destination wedding in this package. Pair that with the perfect Caribbean backdrop and your Gourmet Inclusive® Wedding Event is sure to be everything you envisioned and more. 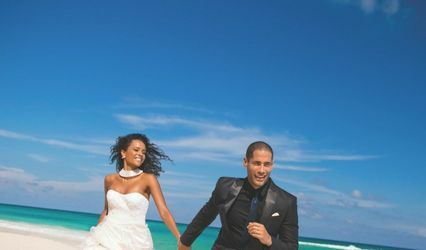 FREE Wedding at Beaches Resorts! 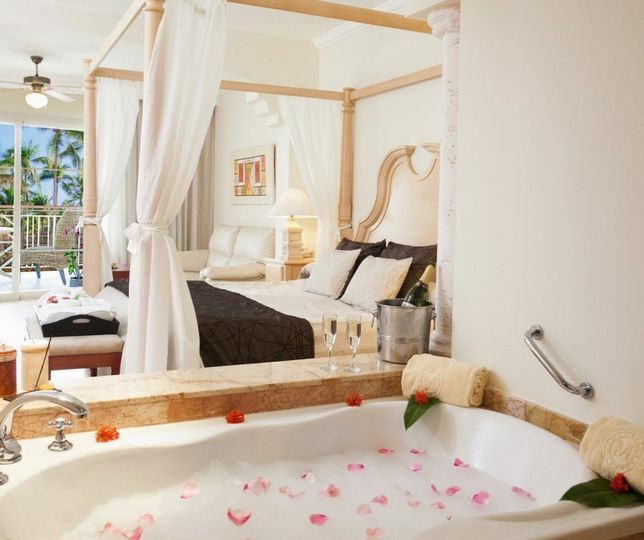 Stay 3 nights or longer and your wedding is FREE!They say the best things in life are free – and we happen to agree. 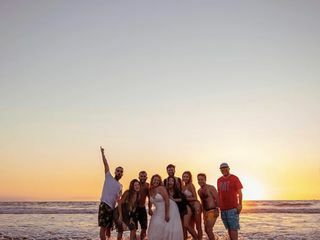 That's why, when you book 3 nights or more, Beaches gifts you a wedding for free. What that means to you is a stunning ceremony venue, a bouquet, boutonniere, and even a cake to cut when it's all said and done! And that's just the tip of the iceberg. The beauty of it all is now that the essentials are taken care of, any investment you choose to make will go towards customizing. Stay 3 nights or longer and your wedding is FREE! They say the best things in life are free – and we happen to agree. 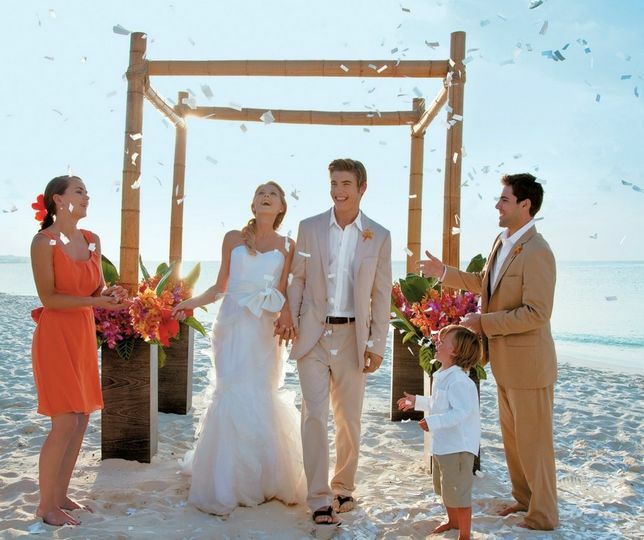 That's why, when you book 3 nights or more, Sandals gifts you a wedding for free. What that means to you is a stunning ceremony venue, a bouquet, boutonniere, and even a cake to cut when it's all said and done! And that's just the tip of the iceberg. The beauty of it all is now that the essentials are taken care of, any investment you choose to make will go towards customizing.